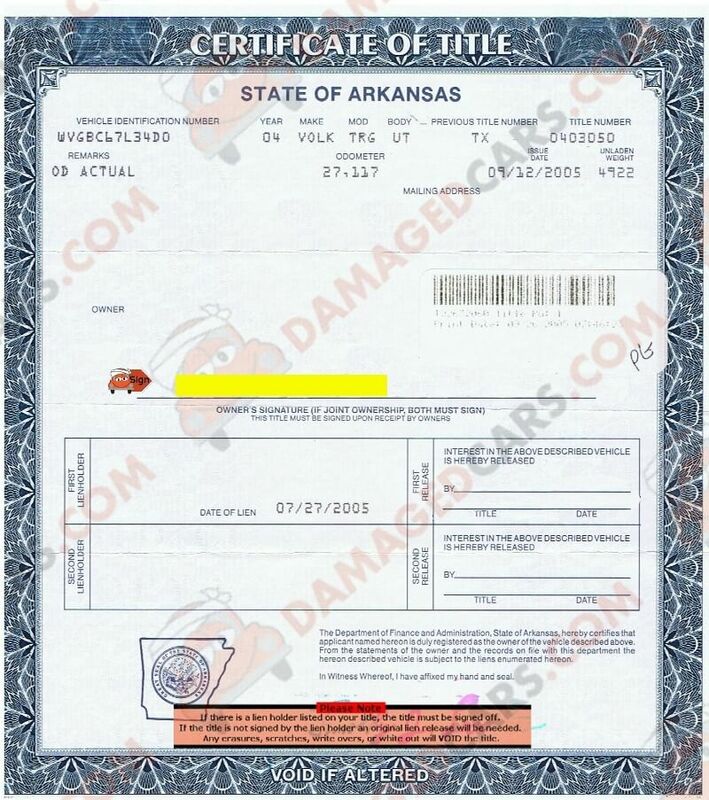 Arkansas car Title - How to transfer a vehicle, rebuilt or lost titles. Where Do I Sign an Arkansas Title? Arkansas titles have a seller signature location on both the front AND the back of the title. The correct location on the front of the Arkansas title is in the very center of the document and is marked "Owner Signature". The second signature location is on the rear of the Arkansas title, near the center. The signature location is marked "Signature and Address of Seller". Please do not sign in any other locations. It is important to be prepared when you are ready to sign a car title. The sellers name MUST match the name of the owner(s) on the front of the title. Verify you are signing correctly BEFORE signing the title! Incorrect signatures, signatures in incorrect locations,erasures and mark outs may void the title. Can I Sell a Car in Arkansas Without a Title? The Arkansas DMV requires a title for vehicle sales. 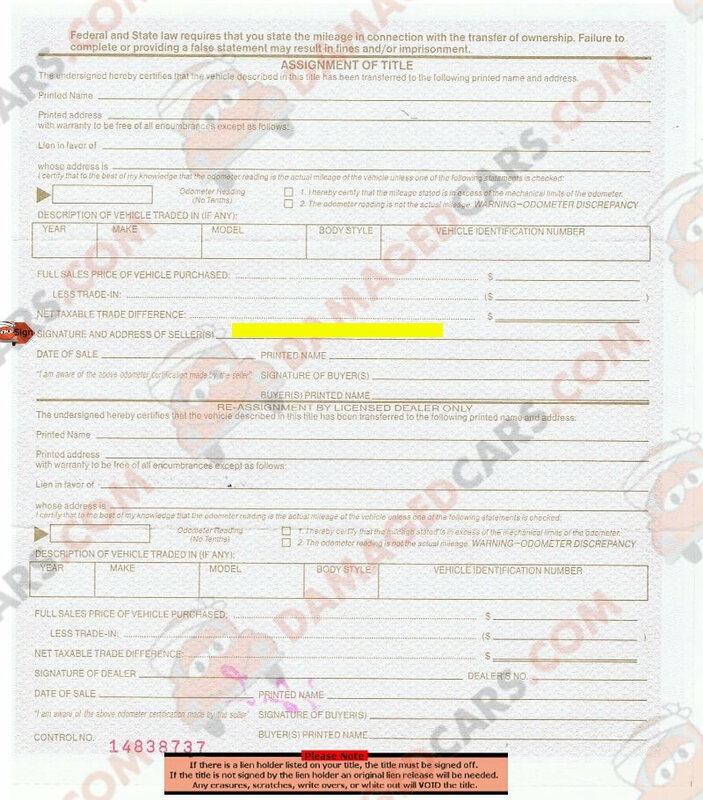 Enteryour information above to get your quick "no obligation" offer fromDamagedCars.com today.